That being said, I did cast my very first vote at 18 years old for Bill Clinton, and to this day I’m not sure why, other than that’s what all the cool kids were doing. Since everyone lost their minds the night President Trump was elected (myself included), I’ve been curious to understand what the big hairy deal is with the Clintons. Why are they so loved? Why have people handcuffed their entire careers and reputations to this polarizing political couple? (I’m looking at you, Huma.) I don’t get it, and while I respect and love many Clinton supports in my circle of influence, my understanding of their support was nil. Therefore, I set out to read about them, and while I chose a couple of books that ended up more biased than I cared for, I wanted to share a review of a book that I found to be objective, thoughtful, and informative. 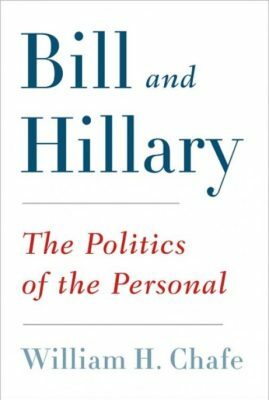 Bill and Hillary: The Politics of the Personal begins where every story about a politician should – his and her childhood. Just as our upbringing shapes us, a politician’s earliest experiences on matters of standard, sacrifice, risk and reward play an influential role in who they become as adults. A person’s ideology is shaped, for better or worse, by the relationships and events of their youth. It matters that Bill Clinton’s childhood was a total mess. It matters that Hillary’s mother’s opinion on marriage was pivotal in her decision to stay with a compulsive cheater, that Hillary knew exactly what she was signing up for when she married the future president. The first sections of the book toggle back and forth between their upbringings, their educational experiences, and family history. Once the couple meets at Yale and enters into a romantic partnership, the story streamlines as the Clintons head for Arkansas. that Hillary wrestled with the decision to marry Bill. I mean, really wrestled. that Bill was governor of Arkansas for two years, then lost his first re-election when he fell out of touch with his constituents. He was eventually re-elected and served another ten years. If this tells you anything about the book’s objectivity, there were several times when I felt pity for the Clintons. Hillary’s ambition can be traced to her earliest years, and while I acknowledge her passion as authentic and recognize that it’s attractive to some, her manipulative methods for gaining power affirm that I could never support her. Likewise, no matter how successful his presidency was (and could’ve been), Bill just can’t get out of his own way. I feel the most sorry for him. Whether they have a romantic, abiding love for each other is something only they know, but this book spotlights how dedicated they’ve been to their powerful partnership, that no matter how bad it got, they stuck together.